The lemon juice diet is all about cleansing the body by removing all impurities from it and allowing it to rejuvenate itself. It not only purifies the blood and improves circulation but also removes toxins from other vital organs like the kidney, stomach, intestines and skin. It also promotes better absorption of nutrients by the body. As a consequence, it provides protection from several ailments leading to a sense of well-being. The lemon juice diet is much-talked about these days as a quick and economical way of getting rid of all the impurities from the body. It is a combination of lemon juice added to warm water and maple syrup or honey, taken regularly for a few days and is known to cleanse the system thoroughly. There are some people who drink this concoction first thing in the morning, wherein it not only cleanses but also helps in reduction. However, others prefer to drink it at night after dinner as the body cleanses best during rest. A few drops of lemon juice added to tea or coffee is a tried and tested remedy for headaches. Lemon, a fruit rich in Vitamin C, not only makes a refreshing drink but is also known to protect the body against flu and other minor infections. It also aids the liver in the process of digestion by acting as a tonic. Due to its alkaline properties, it also helps in dissolving stones in the gall bladder. Stir well and drink at least six times for one to two weeks for optimum detoxification and weight loss. Lemon Juice Detox is most effective when Avoiding heavy foods. It is scientifically known that these use a lot of the body’s energy and burden the digestive system. Since lemon juice is refreshing and nourishing in itself, the body can concentrate on the cleansing process. Lemon Juice also provides the fluids which are essential to flush out the toxins and wastes from the body. While many people swear by this detox drink, there are many others who claim to have received only short term benefits as they starve themselves during this period resulting in slow metabolism. 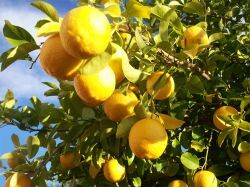 However, when practiced in moderation, the lemon juice diet can assist in improved health over a longer period of time. I find this a very interesting topic. I regularly consume lemon juice because I also believe that helps with digestion especially if I’m dealing with heartburn after consuming fatty foods. I don’t know if I could ever get into the whole concoction with the honey and etc. but it sounds interesting. Great post!